ARE you heading out for the night and wish to look at your girly best? Now you can not only pimp yourself, but also your vehicle. 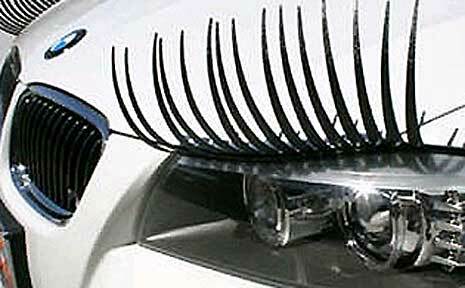 We proudly present to you car eyelashes. Simply install these inexpensive little accessories on the headlights, with a little automotive grade adhesive, and you’re good to rock the road. For more news from the world of popular culture check out Lost at E Minor.